Allergy Doctor of King of Prussia – Allergy & Asthma Specialists Can People with Egg Allergies Still Receive Vaccines? Can People with Egg Allergies Still Receive Vaccines? Vaccines are generally considered to be extremely beneficial, considering the role they play in protecting us against dangerous diseases. For people who have egg allergies, however, the issue may not seem as clear-cut. Some vaccines, such as the flu vaccine, may contain a small amount of egg protein. Are they safe for people who have an egg allergy? Your allergy doctor will be able to give you advice that is specific to your case, but this general information may also help. 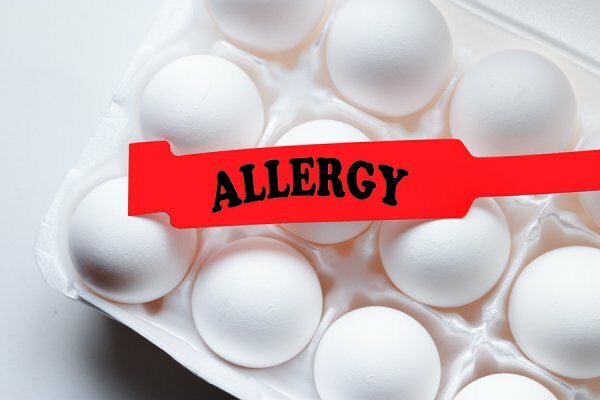 How do I know if I have an egg allergy? If a person shows a pattern of allergic reactions to foods that contain eggs, he or she should see an allergist for a professional diagnosis. Egg allergies can range from mild to severe, but all of them are diagnosed in the same way—by undergoing blood or skin testing to look for the presence of antibodies after exposure to eggs. Do people with egg allergies need to worry about vaccines that contain egg? The amount of egg protein used in vaccines is usually very small, and the risk is often outweighed by the positive effects of getting the vaccine. However, you should ask your allergy doctor if you need to be concerned about receiving any specific vaccines if you have been diagnosed with an egg allergy. Which vaccines are most likely to contain egg? The measles-mumps-rubella (MMR), yellow fever, and flu vaccines are the most common vaccines that may contain egg protein. The MMR vaccine is considered to be safe for most patients. In some cases, people who experience hives when exposed to eggs may need to get a special type of flu shot. The yellow fever vaccine is the most likely of these vaccines to cause a reaction. Usually, doctors recommend avoiding the vaccine or only getting it under medical supervision. At Allergy & Asthma Specialists SM , we offer extensive treatment options for people with food allergies and can help you safely and effectively manage your risk factors and symptoms. Take control of your allergies today by making an appointment with an allergy specialist in Philadelphia, Blue Bell, King of Prussia, Jenkintown, Doylestown, Lansdale, Pottstown, or Collegeville, Pennsylvania. To get started, call 1(800)86-COUGH, option 2 or schedule online at www.AllergyandAsthmaWellness.com.